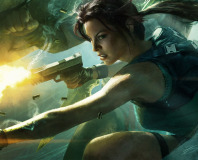 Lara Croft may be set to receive a makeover in the next Tomb Raider game according to a report in PC Gamer magazine. “Set on a Japanese island, the idea is to have one, cohesive level with multiple ways around the puzzles,” says a brief news piece in the magazine. “We'll also be exploring Lara's origins, so she'll be younger and inexperienced in the ways of raiding tombs." It won't be the first time Lara has had a makeover or restart; Tomb Raider: Legend first rebooted the franchise back in 2006, while the more recent Lara Croft and the Guardian of Light rebooted things again earlier this year. Before either of those the ill-fated Angel of Darkness radically changed Lara's tone too, back in 2003. Lara Croft and the Guardian of Light was released in August on Xbox Live Arcade as part of Microsoft's Summer of Arcade Season. It's due to arrive on Playstation Network on 28th September, with an online multiplayer patch going live for Xbox 360 users on the same day. We thought the latest game was rather good too - check out our Lara Croft and the Guardian of Light review for more info. The new Tomb Raider will be released next Christmas on PC, PS3 and Xbox 360. 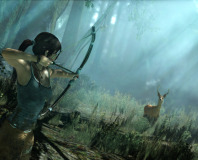 Square Enix has announced a Autumn 2012 release date for the new Tomb Raider reboot.